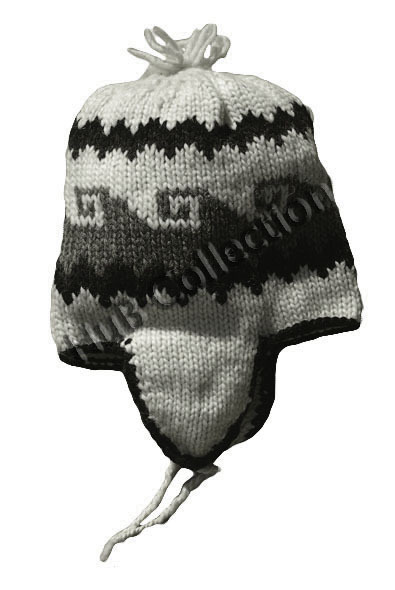 Wool hat in white with natural monochrome colours with ear flaps. One size suitable for 5 years up to adult . 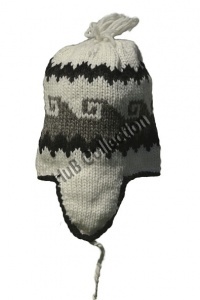 An original unlined chullo from Ecuador.